Albatrozz is now MGA official partner for GoGolf programme and National Handicapping System provider. 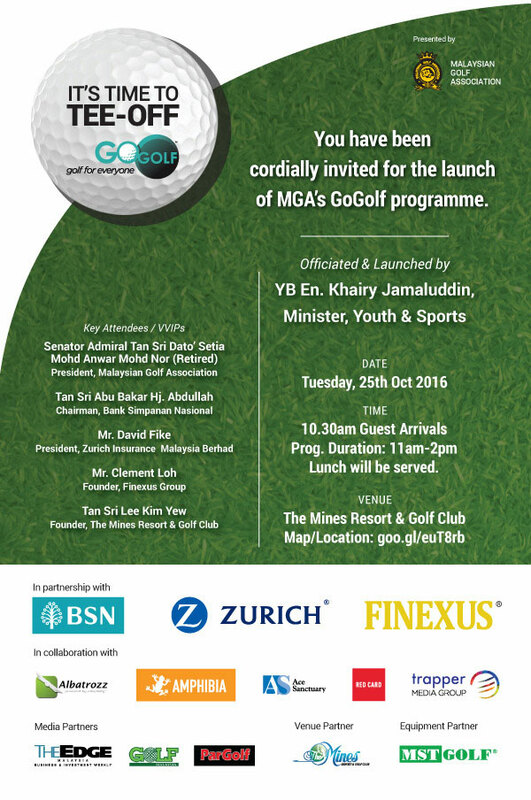 It's Time to TEE-OFF - Launch of MGA's GoGolf Programme. Welcome below golf clubs on board and thanks for supporting GoGolf Programme! See you all on 25th October 2016 10.30am at The Mines Golf Resort! Cheers!